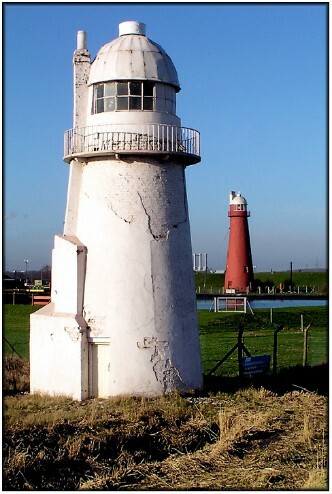 This photograph shows the Low Light, with the High Light prominent in the background. You can see clearly that, like its taller companion, much of the stucco rendering has fallen off this tower too. Nevertheless, it continues to earn its keep even with its bicentenary approaching fairly rapidly. The points about access and photography made for the High Light apply equally here. 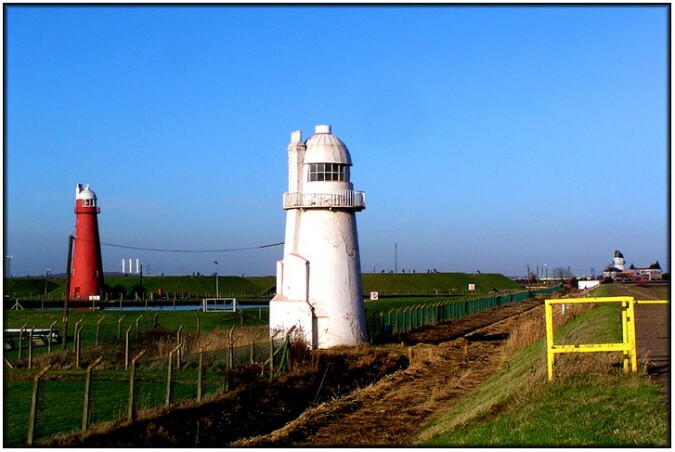 The image below shows all three of the Killingholme lights (the North Low Light is just visible in the extreme right of shot) and gives some idea of the various alignments.